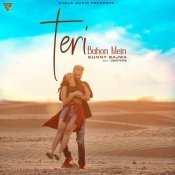 Eagle Music are proud to present the brand new single released by Sunny Bajwa entitled “Teri Bahon Mein“, music by Groovster!! MP4 Records are proud to present the eagerly anticipated brand new single released by Sunny Bajwa entitled “Sone Jeha Rang“, music by Groovster!! ARE YOU Sunny Bajwa? Contact us to get a featured artist profile page.